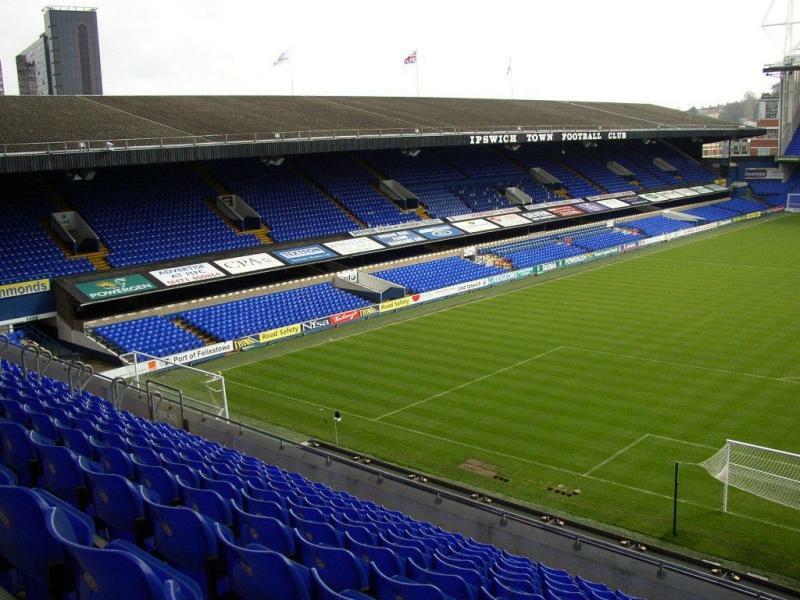 Ipswich Town played their first match at Portman Road in 1884, though at that time it was only a bare pitch with a pavilion of the cricket club they shared the ground with. In the early 20th century a first small wooden stand got built, but it took until 1936 when Ipswich turned professional that proper terraces were built. 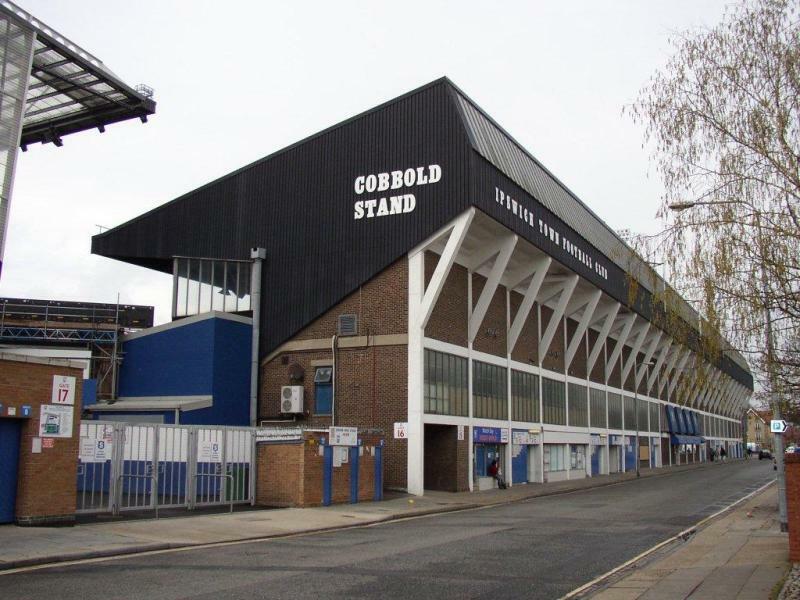 Portman Road got gradually improved and expanded from the 1950s, with a new West Stand opening in 1957 and the new Portman Stand in 1971. The stadium set its record attendance in 1975 when a total of 38,010 spectators attended an FA Cup match between Ipswich and Leeds. The West Stand got further expanded in 1982, but capacity had already started to decline due to safety measures. 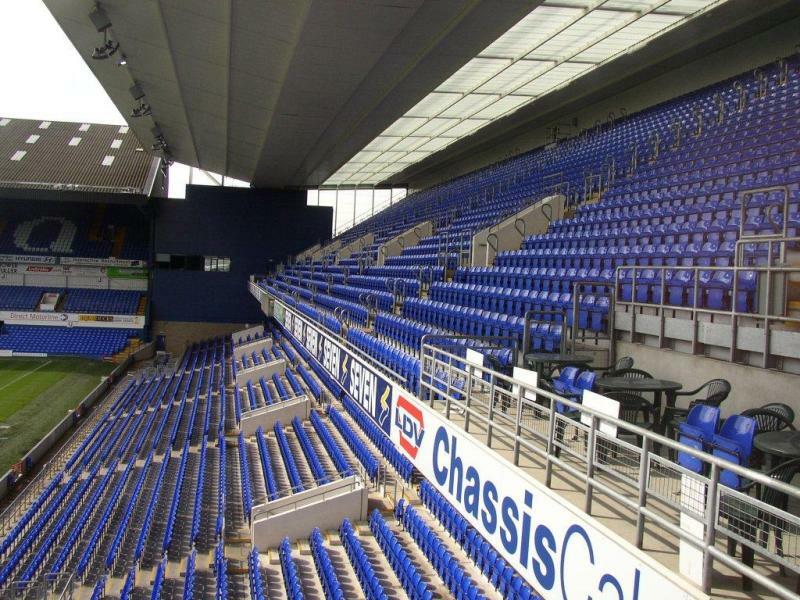 Portman Road got converted into an all-seater in 1992, resulting in a capacity of 22,500 seats. Promotion to the Premier League in the late 1990s made funds available for further improvements, which led to the complete rebuilding of both stands behind the goals in 2000 and 2002. 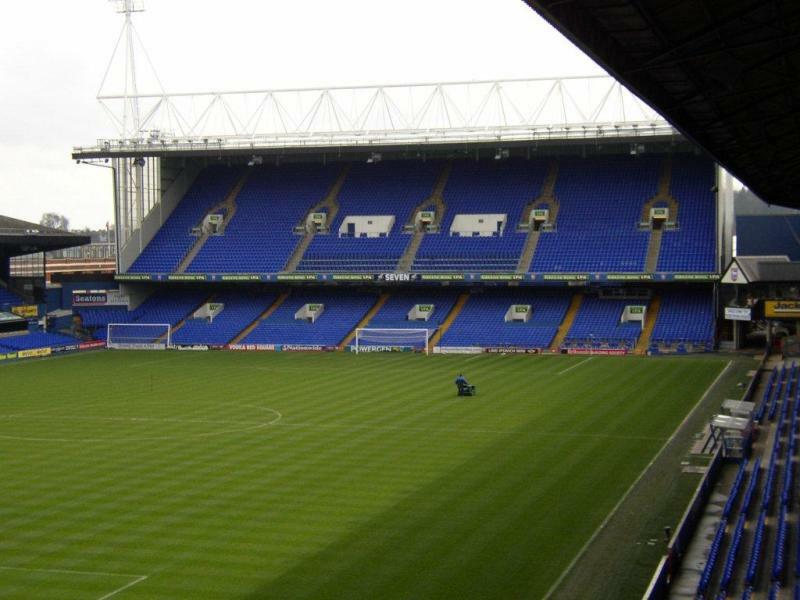 Portman Road is located in central Ipswich on the way from the railway station to the city centre. The walk from either to the stadium takes no more than a 5 minutes. If arriving by car, follow the directions to Ipswich’s city centre. Any parking place in the centre will be at walking distance from the stadium. 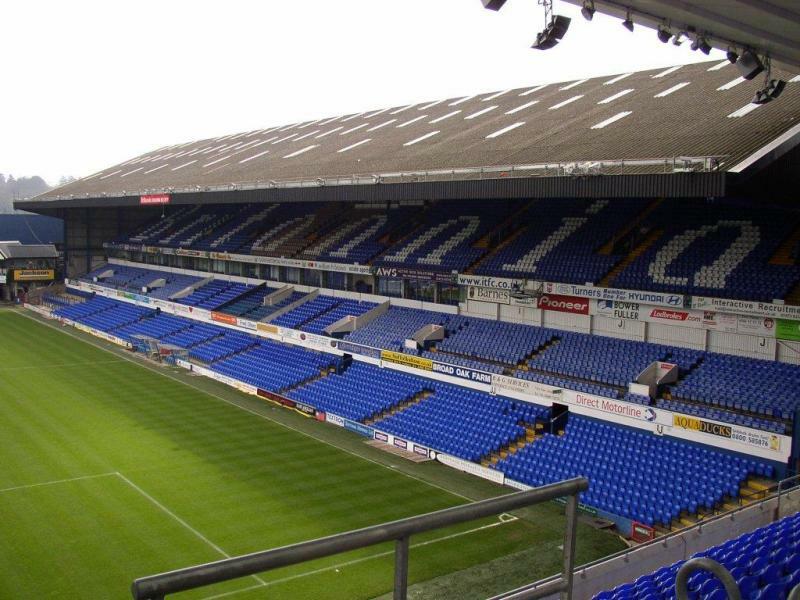 Tickets for Ipswich Town matches can be bought online, by phone +44 (0) 844 80 11 555, or at the club store at Portman Road. Tickets are also available on the gate on the day of the match. Ipswich Town rarely sell out. Ipswich operate three pricing categories depending on the opponents. Tickets for category C games, the cheapest, cost either €22.50, €27.50, or €32.50. Tickets for category A games, the most expensive, go for either €31.50, €36.50, or €42.50. Tickets are €2.50 cheaper if bought in pre-sale. 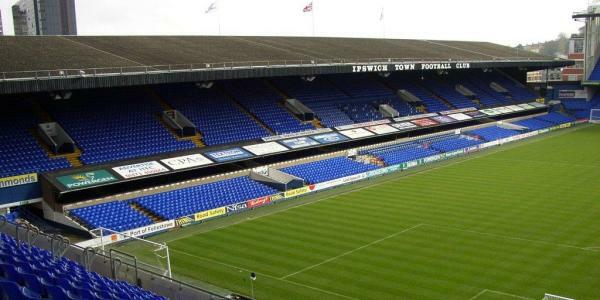 Itfc.co.uk – Official website of Ipswich Town FC. Visit-ipswich.com – Ipswich tourist information.